A camping party is a great way to celebrate the arrival of warmer weather. Going on a camping trip is a great way to bring family and friends together without distractions of modern life. 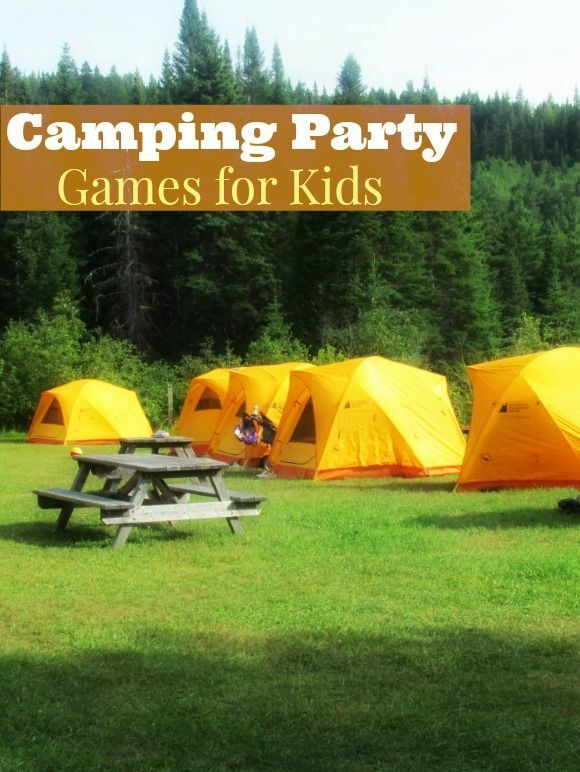 Whether you’re planning an event for a large group of kids or just pitching a tent in the backyard for a few of your child’s friends, planning fun camping party games for kids is a great way to keep them entertained. These games will help kids make the most of their time outdoors. Scavenger Hunt: A good old-fashioned scavenger hunt is one of the most popular camping games for kids, as well as one of the most versatile. Get the kids divided in groups and ask them to find some intriguing items like maple leaves, oak leaves, colored rocks and shells and any other item found in the camping site. Ask them collect the items in their groups. The first group back to the starting point with all the items wins the game. Campfire Stories: Gather the kids around the campfire for a storytelling session! Make up stories, share favorite memories or even read a book. Another fun storytelling game: start a story with one line. Ask each kid to add one more line to it. Eventually, there will be a super interesting story which your kids will love. Bring along a recorder or have someone jot down the story, then give each child a copy before they go home. 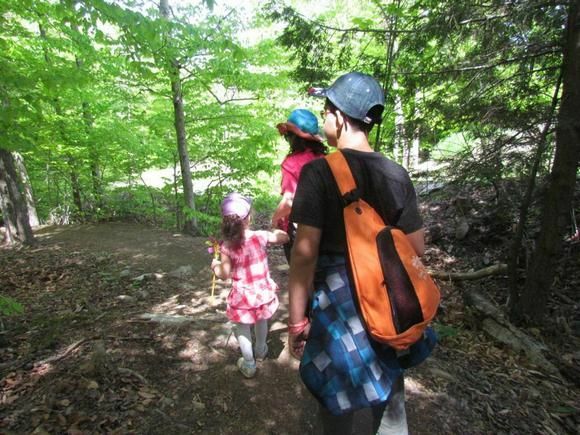 Hiking: Turn hiking excursions into fun camping party games for kids by giving them a challenge. For example, arm kids with disposable cameras and ask them to take pictures of nature or wild life they see along the way. Print the pictures when you get home and give each child a scrapbook from their adventure. If you can get copies of maps for the campground, have kids use the maps to navigate their way to cool land marks. This is a great way to teach kids geography. Singalongs: Singalong are one of the most popular activities to do around a campfire. Turn them into camping party games for kids by asking the group to come up with their own new campfire songs. Or, as you’re singing, pass a stick (or ball) around the group. The person holding it at the end of the song has to get up and do a silly dance during the next round. By the end of the game, every child should be dancing! Relay Races: Relay races are fun camping party games for kids to keep them active and help burn off excess energy. The possibilities are limitless, but the basics are easy. Divide kids into pairs or even groups and stagger them at different locations throughout the “track.” Give them an object to pass off to the next person, such as a baton or a stick. Want to make it challenging? Give them a raw egg and tell them not to drop it! First group to the finish line wins. These are just a few fun camping party games for kids to make your outdoor event a smashing success. If you want to get crafty while you’re out in nature, check out a few fun and frugal outdoor crafts for kids! Can you think of any fun camping games that I may have missed? Don’t miss a single party game idea. Sign up for our weekly newsletter. never been camping, but if we ever do take our kids, there will be lots of games, singalongs and smores & campfires! I haven’t been camping in a long time. Those all seem like fun ideas. I remember we used to tell ghost stories. What a great idea! We also haven’t camped for a while, not since we had the kids! Now that the youngest is almost 2 we are thinking about it again, I miss it!! Angel recently posted..How to Take Action! Thank You For The AWESOME Camping Games/Ideas We Can Use A Few New Ones!! Some of our best times growing up were camping!